Whether you own an age-based option or individual portfolios in your 529 account, your stock allocation is invested in mutual funds, which give you access to hundreds—even thousands—of stocks. Investing in stock mutual funds spreads out risk much more than owning individual stocks. That's because the negative performance of one stock can be offset by the positive performance of other stocks in the fund. "Mutual" means the funds pool together money from many investors for a common investment goal, based on the fund's investment objectives. Since stock funds aim to provide long-term growth, you'll likely experience more ups and downs in the value of your investment than you would with bonds or bond funds. Active versus passive funds: How do they compare? There are two main investment strategies—active management and passive management. Active funds* aim to beat the returns of an index by attempting to invest in only the best stocks within the index. They're run by professional fund managers or investment research teams. Passively managed or index funds simply track a market by owning all, or a representative sample, of the stocks in an index. Their goal is to provide a return that closely reflects how the market is performing. New York's 529 College Savings Program Direct Plan only includes portfolios based on Vanguard index funds, which avoid the risks of actively managed funds and also have lower costs. And they still offer the broad diversification and direct market exposure that many investors seek. What if I want to invest in a particular sector or market? Most of the age-based portfolios and individual options in your 529 plan hold stocks in a variety of sectors and across multiple markets. While some investors might like to invest more heavily in certain high-performing sectors, like health care, energy, or telecommunications, their performance is extremely hard to predict. Sector funds can experience wide swings in value—and lead to potentially large losses—which could reduce your chances of reaching your savings goal. That's why most 529 plans don't offer portfolios that target just one area of the market. What if I want to focus on a certain country or international region? If you invest in an age-based portfolio that holds stock funds, you're already investing across a broad range of U.S. and international securities, including stocks from both emerging and developed markets. New York's 529 Direct Plan also offers the Developed Markets Index Portfolio, so you can get international exposure outside the age-based options. Spreading your risk across global markets this way is something to consider because it lowers the overall risk in your portfolio. Markets outside the United States don't always rise and fall at the same time as the domestic market, so owning pieces of both can level out your portfolio's volatility. How can I find out which stocks are in my 529 portfolios? It's easy to see basic information about the underlying investments in your portfolios, including a listing of their top ten stock holdings. Simply log on to your 529 account and select the link for each portfolio you own. Then, under "Investment strategy," select each underlying fund and look for "Ten largest holdings." If you decide to change your investment mix, remember that you have two allowable exchanges per calendar year. You can also make changes if you change your beneficiary. *Some mutual funds are actively managed, which means the fund managers make their own decisions about what to buy and sell in an attempt to get the highest returns. They could make these decisions based on the fund manager's research about specific companies, computer analysis about the companies, or some other means. Because active funds don't mirror their benchmark index, their returns could be either higher or lower than those of the index. All investing is subject to risk, including the possible loss of the money you invest. 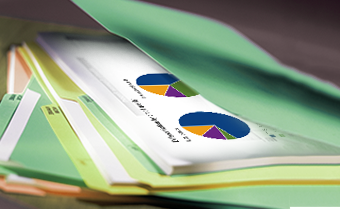 In a diversified portfolio, gains from some investments may help offset losses from others. However, diversification does not ensure a profit or protect against a loss. Funds that concentrate on a relatively narrow market sector face the risk of higher share-price volatility. Investments in stocks issued by non-U.S. companies are subject to risks including country/regional risk— which is the chance that political upheaval, financial troubles, or natural disasters will adversely affect the value of securities issued by companies in foreign countries or regions—as well as currency risk, which is the chance that the value of a foreign investment, measured in U.S. dollars, will decrease because of unfavorable changes in currency exchange rates. © 2017 State of New York. Vanguard Marketing Corporation, Distributor and Underwriter.